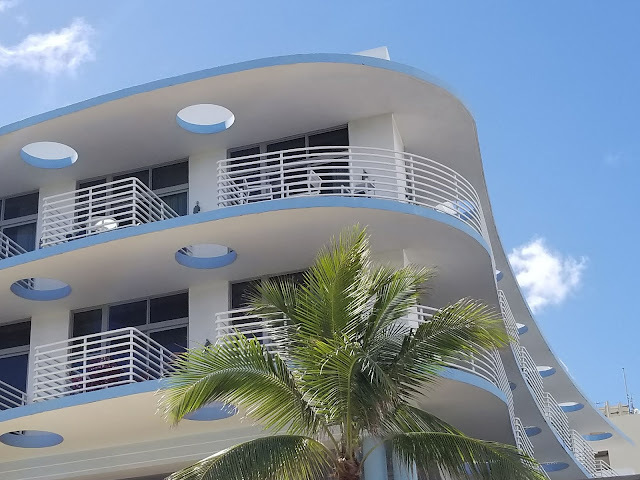 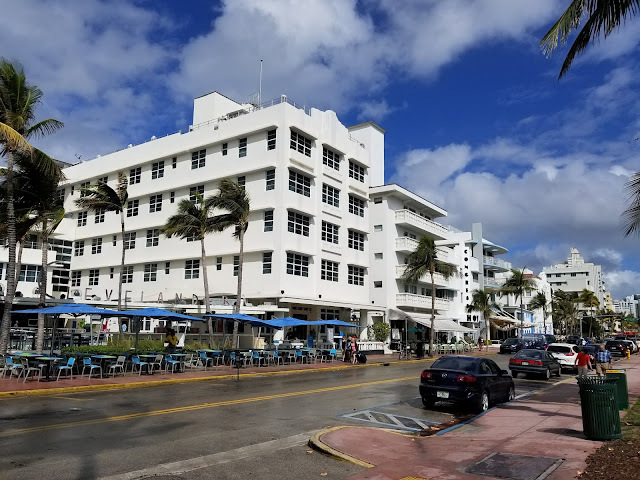 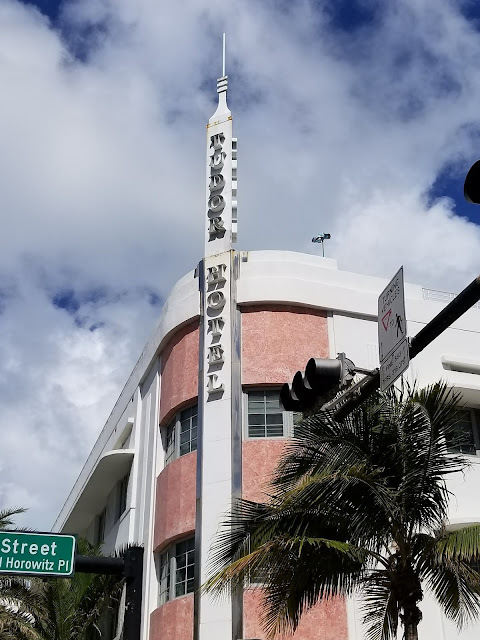 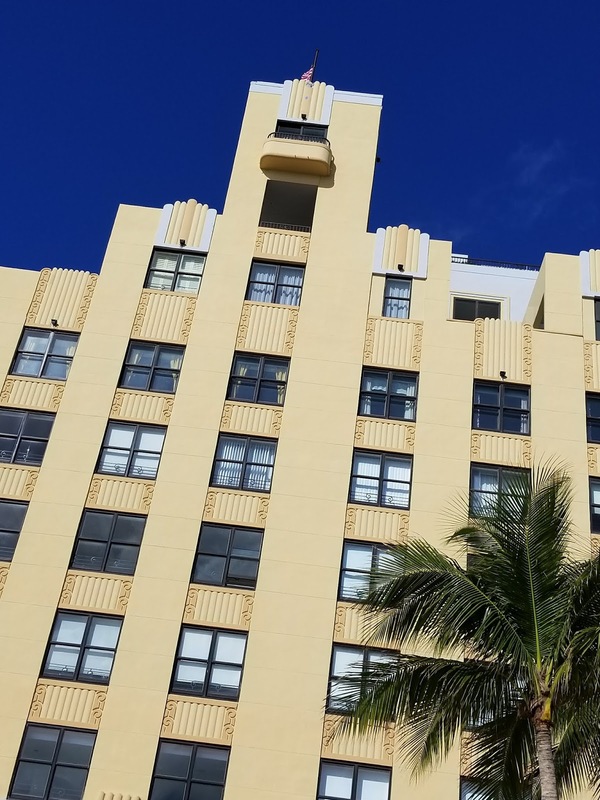 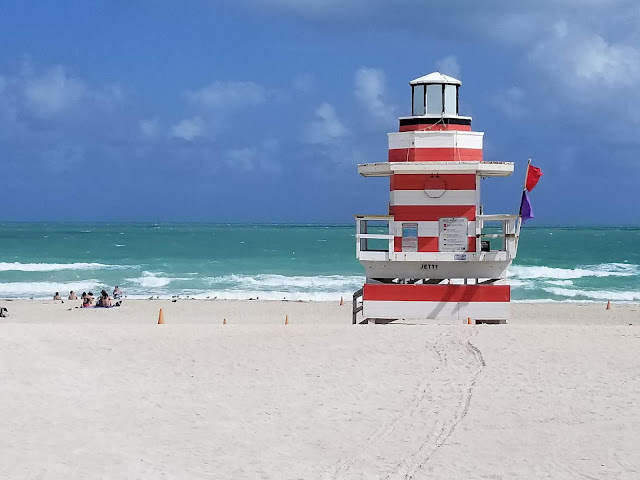 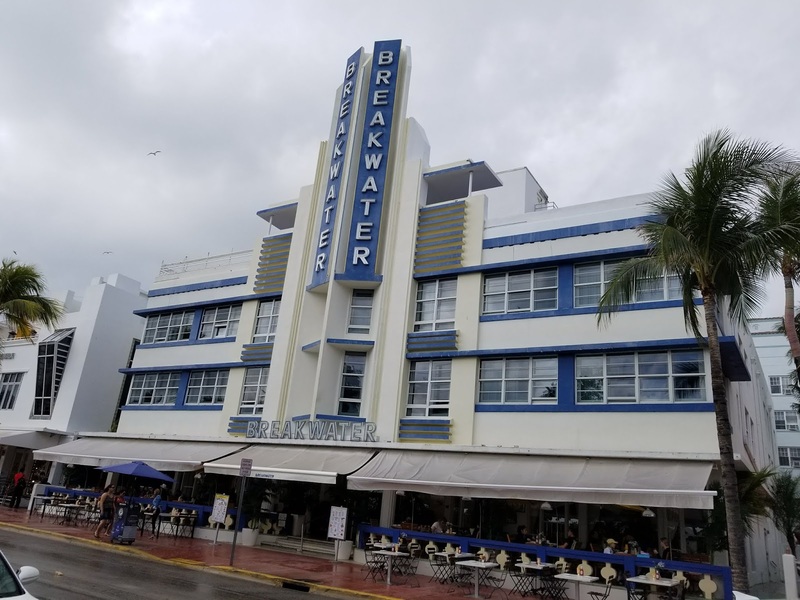 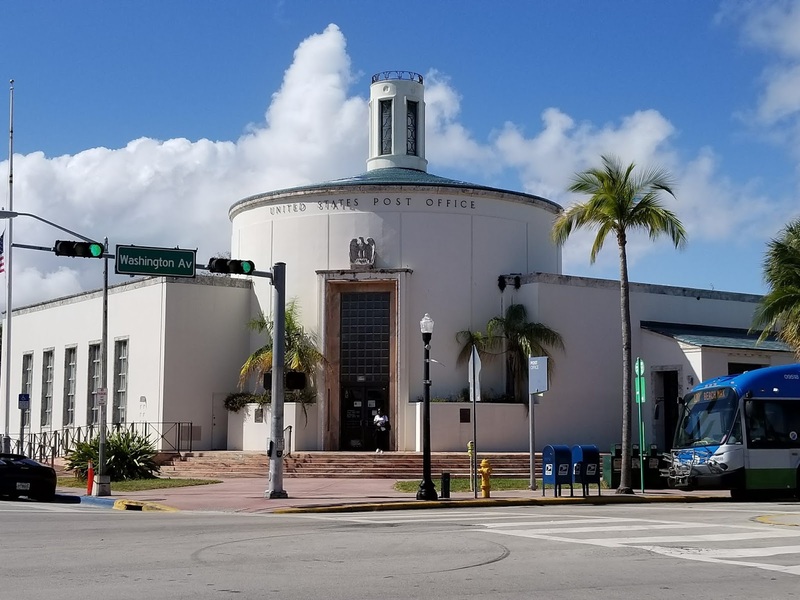 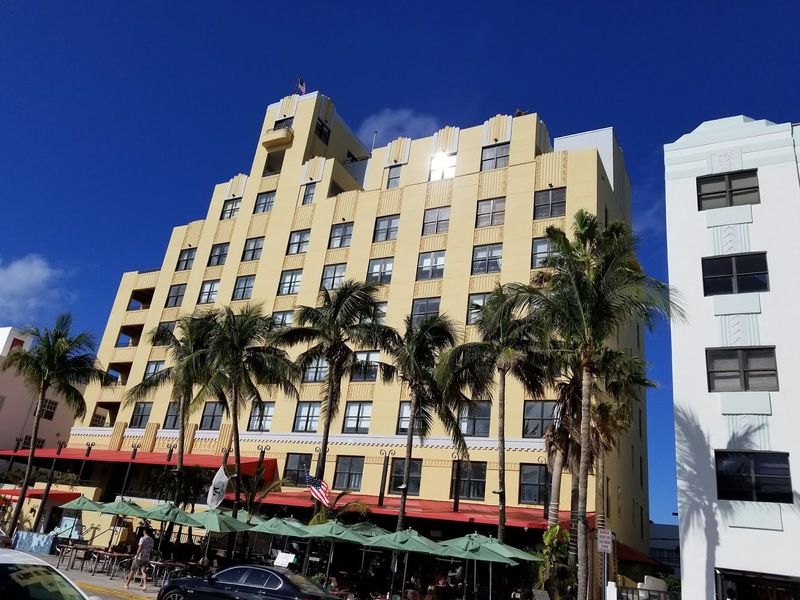 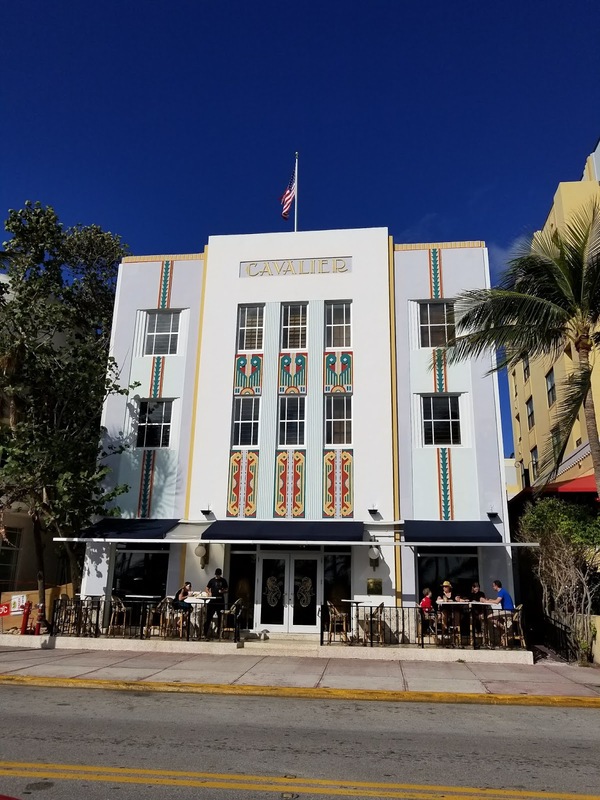 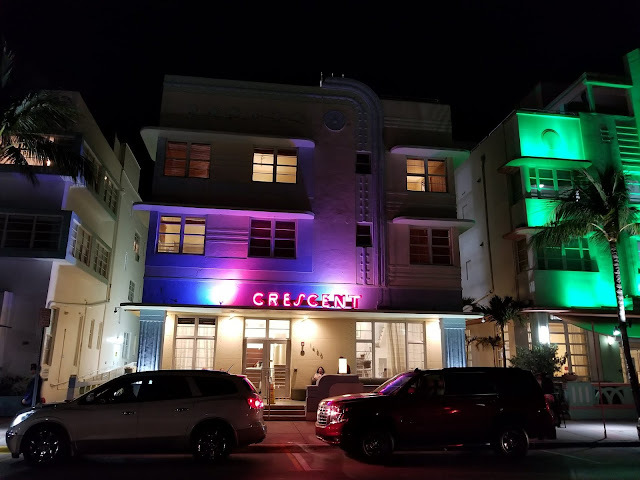 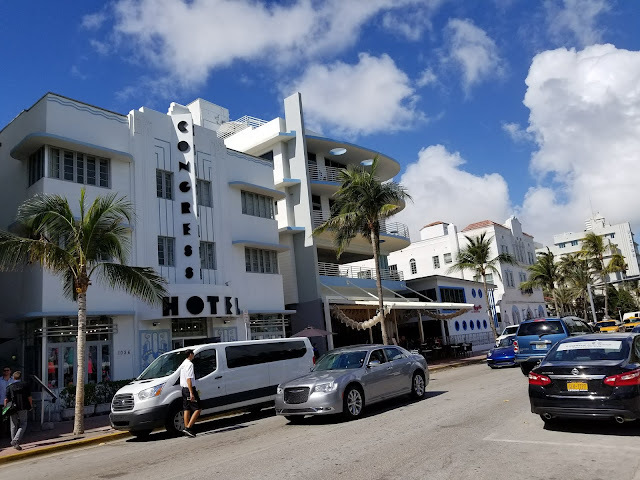 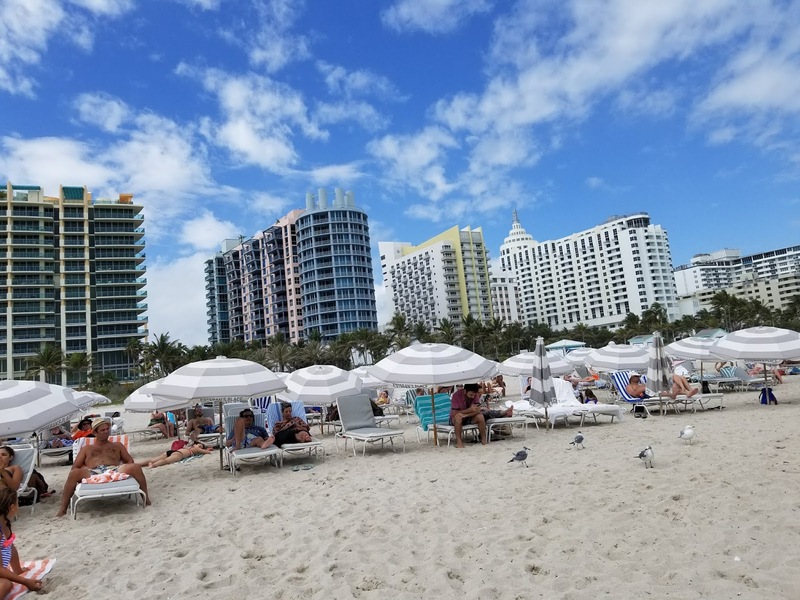 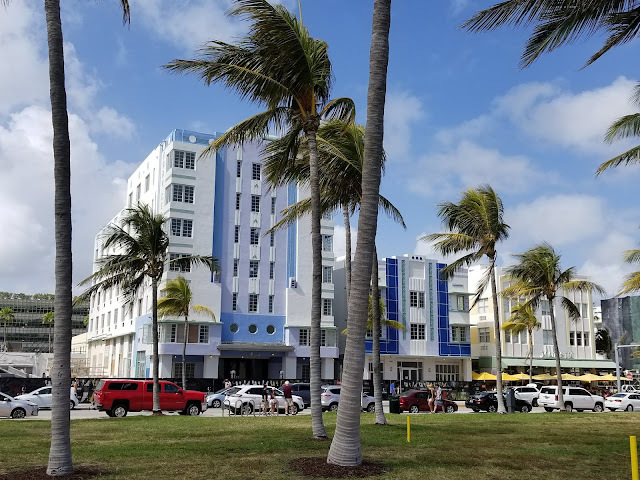 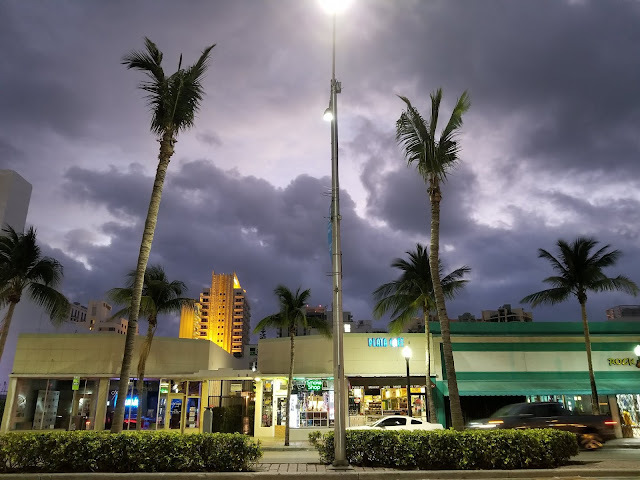 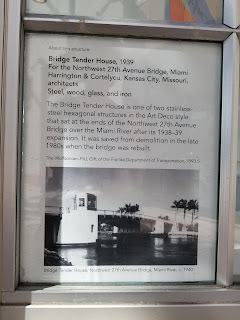 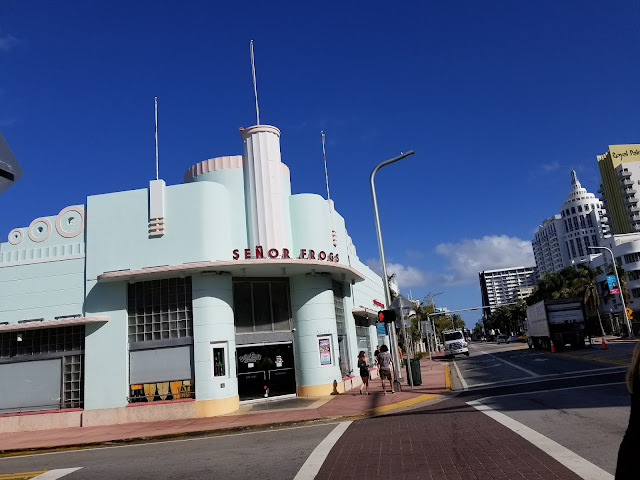 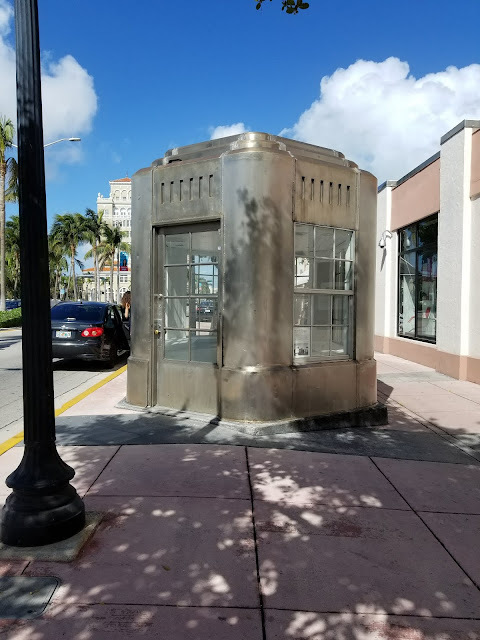 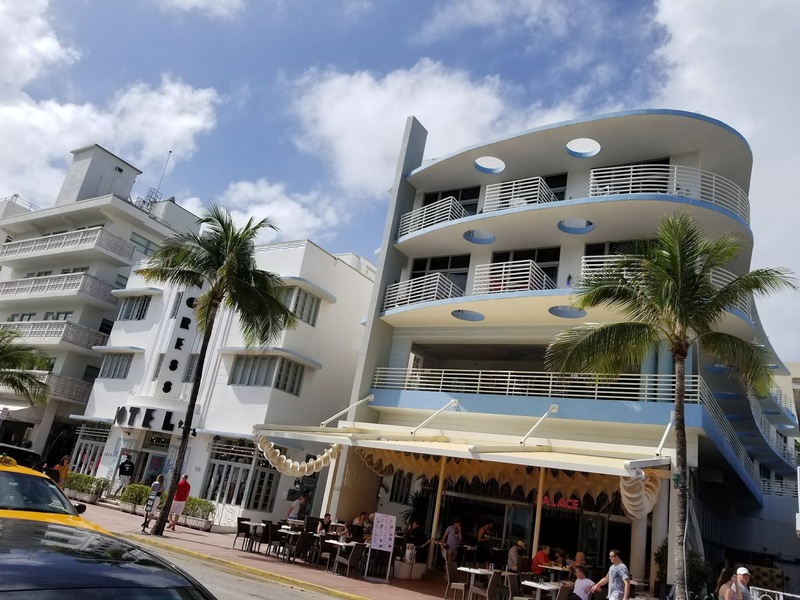 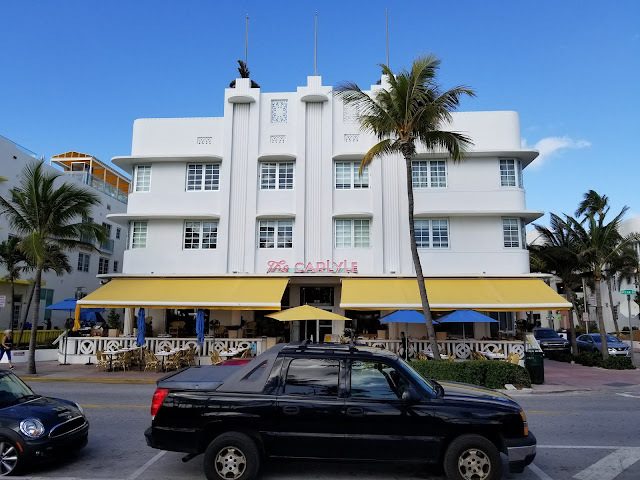 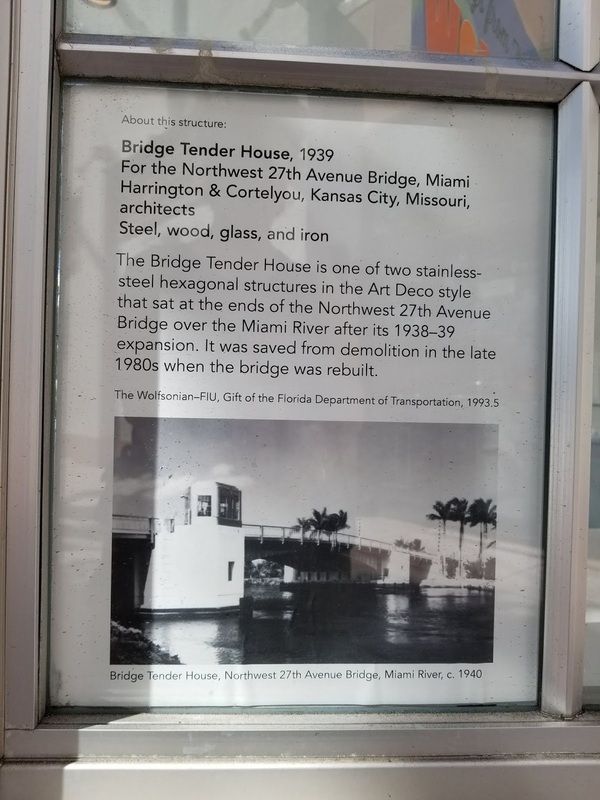 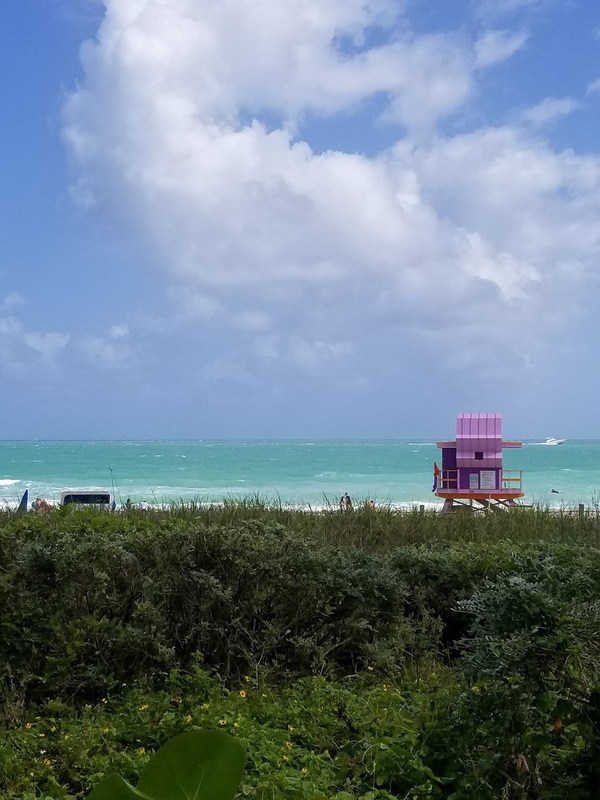 After spending a week in Cuba, and since I had to fly in and out of Miami anyway, I had planned to spend a few days in South Beach, sketching this historic Art Deco area and relaxing on the beach. 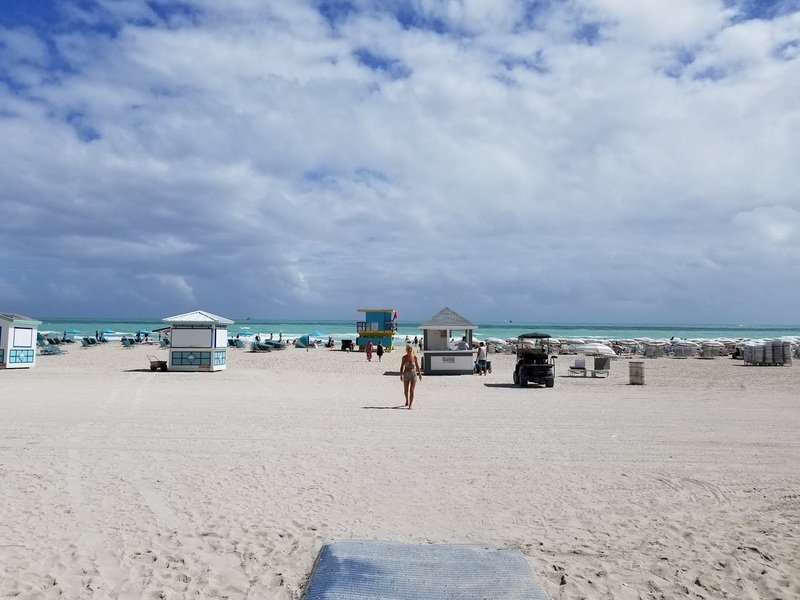 The weather couldn't have been better, except for the rain on my first morning. 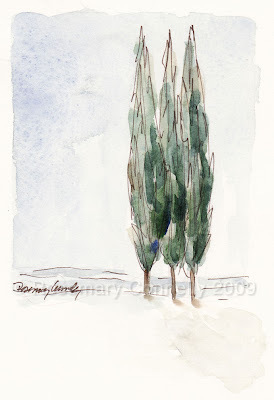 But after that, the skies were a dazzling shade of blue and I sketched all day! I ate good food .. Mexican, Italian, Middle Eastern..all good! 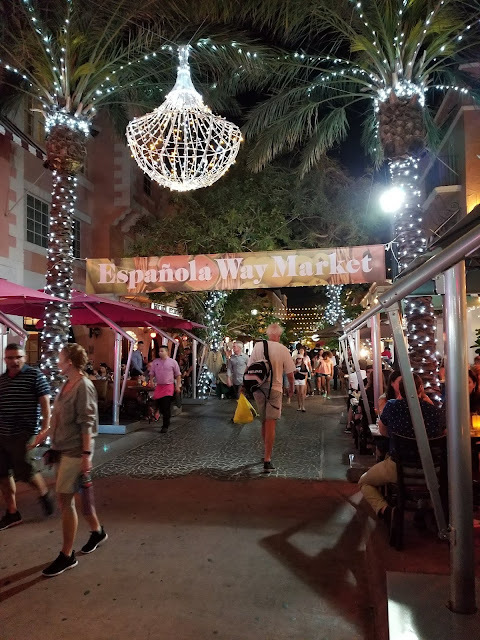 My Airbnb apartment was comfortable, quiet, and conveniently located in the heart of the historic area so I walked everywhere. 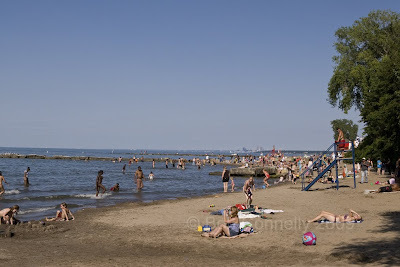 And the beach was a few short blocks away as well. 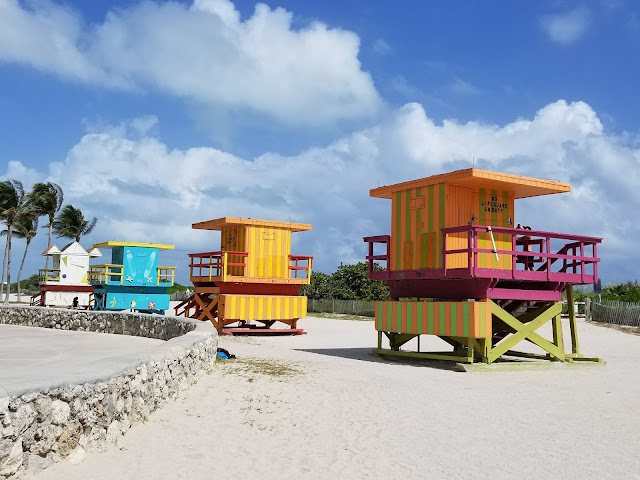 I'm not going to add captions to my photos since they are just meant to give you an idea of what it it's like there -- A perfect place to spend a long weekend in February! 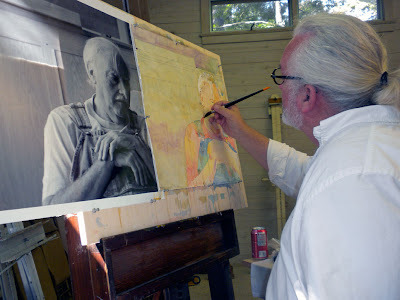 My sketches will follow in a separate post!